If you’re looking for some Steam Let’s Plays on YouTube then check out this page often because I will keep adding links to my list of YouTube gaming channels. So…What is a Let’s Play? 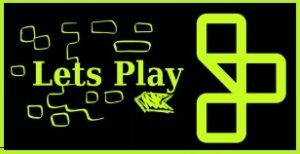 Introduction: A Let’s Play is known as a series of videos based on playthroughs of video games from the perspective of a fellow gamer. The term Let’s Play actually came from the Something Awful forums in 2007 to describe video gameplay via screenshots or actual footage. Simply put, instead of being an objective, fact-based, informative overview of a game, it is actually a subjective, humorous, and personally opinionated commentary on aspects of the game noted by the video creator. One could expect completely ridiculous and often exaggerated accounts of gameplay, guides, and walkthroughs, first impressions, discovering Easter eggs, glitches and bugs, and professional critical reviews from gamer journalists. Many of these Let’s Players give their impression on Steam games so I thought, why not post the best ones here? Not everyone has access to expensive titles due to budget constraints. Watching a let’s play brings them up to speed. You’ve probably heard of these famous YouTubers: PewDiePie, Markiplier, StampyLongHead, TotalBiscuit, Cinemassacre, TeamFourStar, YOGSCAST, and RoosterTeeth. They all have a strong social media following and attract millions of fans (and sometimes haters) alike. Yep, you guessed it. 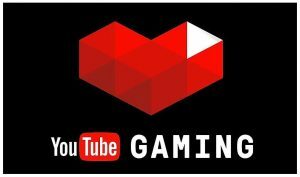 Beyond 2010 was when YouTube gaming really picked up. People started making live streams and playthroughs which later on became a profitable source of revenue through clickable advertisements as videos gained more views. As an avid fan of YouTube Let’s Plays, I want to show you guys some of my favorite channels on YouTube. I still watch many acclaimed YouTube channels and have subscribed to several that I found particularly funny or entertaining. Like everyone else, I consider Let’s Plays to be accurate depictions of the typical gaming experience with added commentary and sometimes minor edits. These YouTube content creators upload videos on all kinds of games which is nice because I have a limited budget to spend on video games. Not only can I watch video game playthroughs for free but also I’m able to make better decisions on which games are worth buying from the Steam store and likely ones I would enjoy playing. Most YouTubers separate their playthroughs into several parts since video games are often lengthy, taking awhile to unlock all of the achievements. They or their fans usually decide whether a game should be finished before moving onto a new title. If their videos have millions of views, then the uploader is likely to continue creating content for their fans. But these Let’s Players can be quite unpredictable, making videos on a whim out or of personal interests. Fans, in turn, will come and go. In a way, Let’s Plays also serve as a walkthrough of the general objectives of a game including how to finish the main storyline, strategies for fighting boss battles, how to complete a certain quest, and so forth. However, I wouldn’t recommend them to everyone because of potential spoilers that ruin the game’s immersion effect. What are some YouTube channels for gamers? Well, I’ve been browsing plenty of Let’s Play videos on YouTube all day. When you have too much free time, you tend to pick up on a lot of interesting video games you didn’t think existed. Gaming is a huge industry and fellow gamers are always looking for new titles to discover including on Steam. Anyways, I’ll direct you to some of my favorite and most recommended YouTube channels for Steam Let’s Plays. I will be posting some of the more hilarious videos I can find on Steam games so enjoy and comment if you have any suggestions! What are some of your favorite YouTube gamers? I liked how you explained in a very natural and easy to digest way, what the famous “let’s play” stands for. Personally, I used to be a big fan of the Cynical Brit (totalbiscuit) and his WoW walkthroughs. Always enternaining and fun to watch, especially his typical cynical sense of humor. Do you know this guy and if so – what happedned with him, is he still around? Yeah I’ve heard through the grapevine about TB from watching Jim Sterling and other YouTubers that were professional gaming critics.